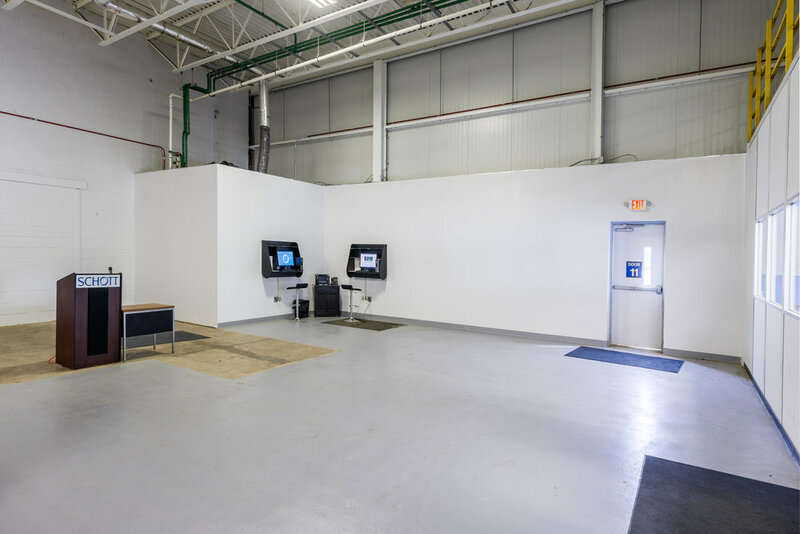 On March 3, 2015, fire broke out at Schott North America, Advanced Optics, a manufacturing facility located in Duryea, PA that produces glass components for products used and sold by clients in a variety of markets including aerospace, homeland security, and consumer electronics. Thirty six fire companies from two counties responded to the incident, and after 11 hours of battling the fire in snow and freezing rain, the company was left facing an estimated $50 million dollars in damage. 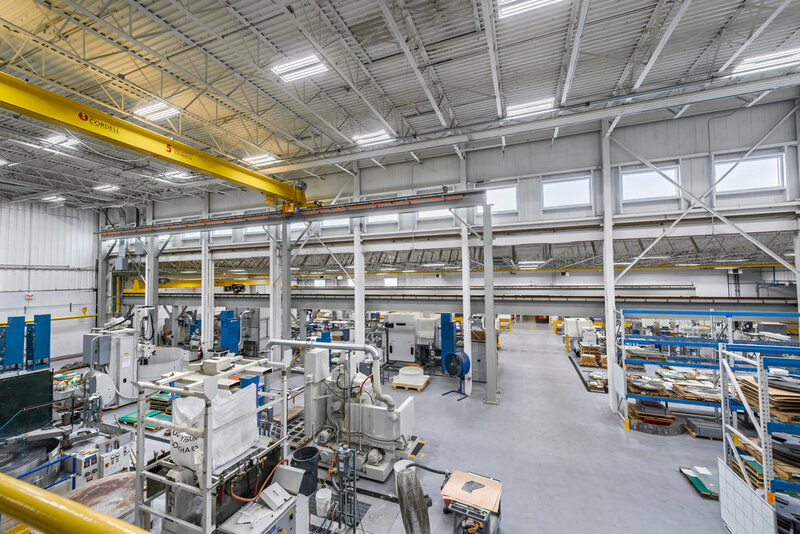 Highland Associates has actively provided architectural and engineering services to Schott North America Inc. since 1989, including the design of a 40,000 square-foot addition to the affected manufacturing facility. Constructed in 1997, the addition consisted of a 12,500 square foot pre-engineered structure to house the furnace that manufactures the glass, and an additional 25,000 square foot attached building housing Quality Control operations consisting of fine annealing ovens, grinding and polishing, final polishing, laser damage testing labs, interferometry labs and support offices for managers and engineering. Highland Associates was onsite the day after the fire ravaged the facility to perform a complete fire structural report and provide estimates for the insurance carrier to resolve replacement costs. 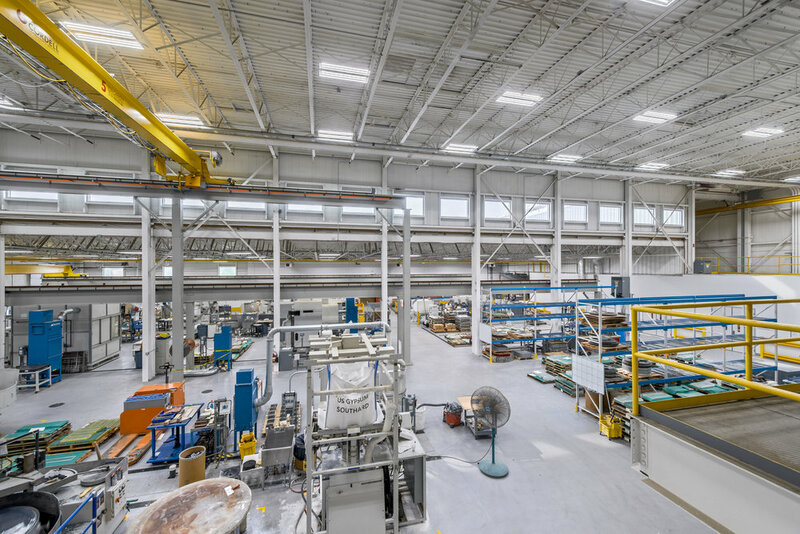 In addition to developing a new Fire Protection Concept that incorporated current code and Schott Corporate code (which exceeds current NFPA codes and standards), Highland provided design for several new spaces including a Chalcogenide Room, Laser Pots Room, E-Pots Room, Large Optics Area with integrating trenching and bridge cranes, IT Room, Toilet Rooms and First Aid Room, and a new lower Warehouse Truck Dock equipped with a jib crane. Also included in the scope of work were renovations to the Control Room, offices, PVD Room and Batch House. Highland’s team maintained regular communication with representatives of Schott’s corporate headquarters located in Mainz, Germany as to the status of the project and its progress. At Schott’s request, Highland provided extensive Construction Administration and was onsite every day for months following the accident for site visits and meetings. 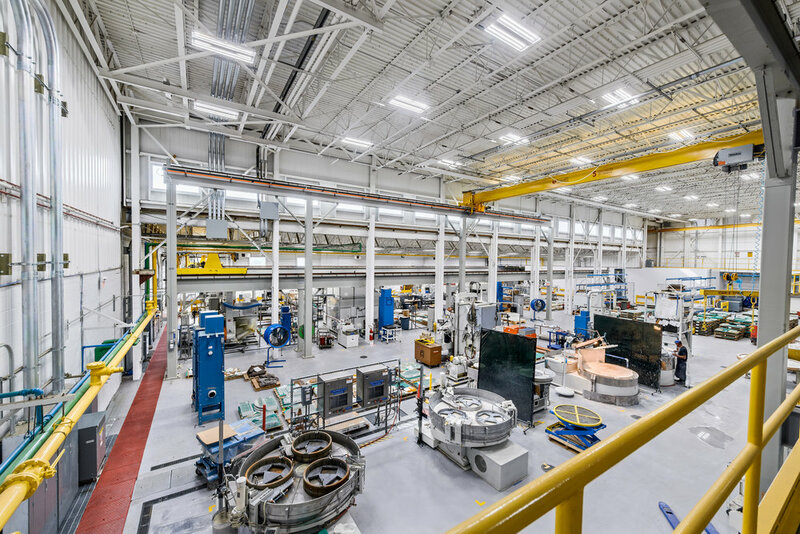 A number of operations, such as precision components and large optics processing, have been fully restored and are operational, and Schott expects to be fully operational in the coming months with plans to expand the volume and capabilities of its product lines.